Mareck is using Smore newsletters to spread the word online. How we gon run dis? 1787–1789. The Constitutional Convention in Philadelphia met between May and September of 1787 to address the problems of the weak government that was ran under the Articles of Confederation. 1787–1789. The Constitutional Convention in Philadelphia met between May and September of 1787 to address the problems of the weak government that was ran under the Articles of Confederation. Although the Convention was intended to revise the Article of Confederation, the intention from the outset of many of its proponents, chief among them James Madison and Alexander Hamilton, was to create a new government rather than fix the existing one. Created by James Madison and presented by Edmund Randolph, the Virginia Plan was intended to to protect large states' interests, which would be federally stronger than under the Articles of Confederation. This would completely remove the Articles of Confederation and allowed representation of based on state population. 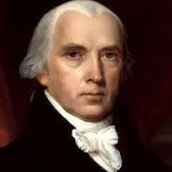 James Madison: He was the creator of the Virginia Plan, secretary of state to president Jefferson, and the Forth President of the United States. Edmund Randolph: Randolph was selected as one of eleven delegates to represent Virginia at the Continental Congress in 1779, and served as a delegate through 1782. Randolph was elected Governor of Virginia in 1786. 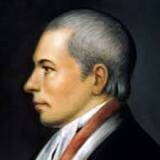 He argued against importation of slaves and was in favor of a strong central government. The New Jersey Plan was created by William Paterson with reason to replace the Articles of confederation. Unlike the Virginia plan, however, the states would have equal representaion in order to create and unbiased legislative branch. The issues started when the some of the representatives realized that they were prepared to completely replace the Articles of Confederation. A few had seen it as ridiculous to forget about a system that had been implemented for such little time and just needed edited. Soon, more issues were found in the plan for the new Constitution. A large issue was representation, because the smaller states felt they were to receive less votes for having a smaller population then the larger states would have more power. More so, slaves states felt that their slaves should count as people even though, ironically, they were treated like things. It was clearly found unfair, because they could buy more power. More issues came after the ratification with the federalist papers. Those who participated in the ratification later began writing for or against the Constitution to sway the people of the nation one way or another.